What do fancy coffee, mustaches, technology and hearing loss all have in common? Surprisingly enough, they are all related to millennials. 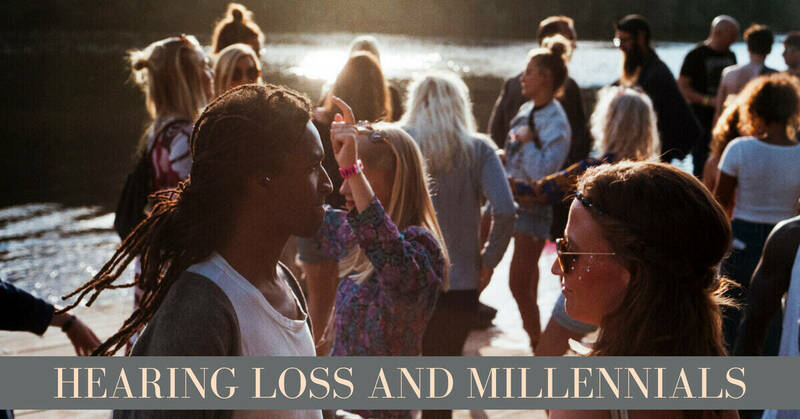 Millennials are our youngest generation; however, they are developing hearing loss at alarming rates. How is this possible when the oldest millennials are only in their mid-thirties? Despite popular belief, hearing loss is not an issue isolated to older people. One of the most common types of hearing loss – noise induced hearing loss – can affect anyone at any age, and that includes millennials. How Many Young People Suffer Hearing Loss? Hearing loss has been increasing amongst younger generations, and this may be connected to the amount of modern technology being consumed. According to the most recent research out of the Center for Disease Control, about 40 million adults between the ages of 20-69 suffer hearing loss due to excess exposure to noise. Even more surprisingly, about 17% of children aged 12-19 showed evidence of noise related hearing loss in one or both of their ears (http://www.chicagotribune.com/lifestyles/health/sc-hlth-young-hearing-loss-0913-story.html). This problem is not just an American one either. In fact, the World Health Organization has warned that across the globe, about 1.1 billion teenagers and young adults are at risk of developing noise induced hearing loss caused by their recreational activities (http://www.who.int/mediacentre/news/releases/2015/ear-care/en/). How Can Millennials Protect Themselves from Hearing Loss? While these statistics are shocking, the good news is that noise induced hearing loss is a completely preventable condition. A few lifestyle changes can have dramatically positive effects on your hearing. Wear hearing protection. For some reason, wearing hearing protection continues to be deemed as “uncool” in social situations, however, they are paramount in protecting your hearing. Custom ear plugs are a great option because they are made to fit perfectly in your ear and are therefore comfortable and discreet. Limit noisy environments. Even if you are wearing hearing protection, you should still limit your exposure to noisy environments. You probably realize that extremely noisy places such as music venues or sports arenas have the potential to damage your hearing, but it is important to realize that many other everyday activities such as going to bars or restaurants also has the potential to cause hearing loss. Noise induced hearing loss is most often gradual and is caused by the overall accumulation of noise exposure over a period of months or years. Committing to trade one noisy social gathering per week for a quieter one such as hiking is a great way to lower the amount of noise you’re being exposed to. Follow the 60/60 rule. The 60/60 rule pertains to personal listening devices – a huge culprit in the increase of noise induced hearing loss among younger generations. Following the 60/60 rule can help you to ensure your earbuds aren’t causing hearing loss. The 60/60 rule is very simple, listen to your earbuds at no more than 60% of its max volume for no more than 60 minutes at a time. Protect your health. Excessive alcohol consumption, smoking and a lack of exercise have all been linked to an increased risk for hearing loss. It is important to monitor and limit how much you drink as well as exercise at least 30 minutes per day. Regular exercise and a healthy diet increase blood circulation to the little vessels in your ears that keep them healthy and working properly. What do Baby Boomers, Gen Xers and Millennials All Have in Common? When it comes to hearing loss, it’s about 7 years. That is the average amount of time American adults wait between the time they notice changes in their hearing to the time they seek help from a professional. No matter what your generation, it is important to pay attention to your hearing. Whether you’re twenty or ninety, if you have noticed some of the signs of hearing loss such as hearing but not understanding, or a ringing or buzzing in your ears, reach out to our friendly team at Coweta Hearing Clinic today. We look forward to working with you and helping you get your hearing – and quality of life – back, no matter what your generation.